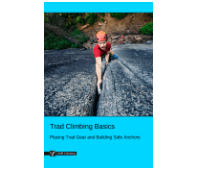 This 'Climbing Nuts' article is part of the e-book - Trad Climbing Basics. Nuts are an essential for every trad climber. They are made of a flexible wire which is threaded through a hard 'nut' of metal. They are cheap, light and durable. Climbing nuts exert very little outwards force on the rock, unlike cams. Most of the force is transferred in the direction it is being pulled (in most cases, down and slightly outwards from the rock). It's for this reason that they should be placed in tapered cracks and constrictions, where the crack becomes smaller further down. 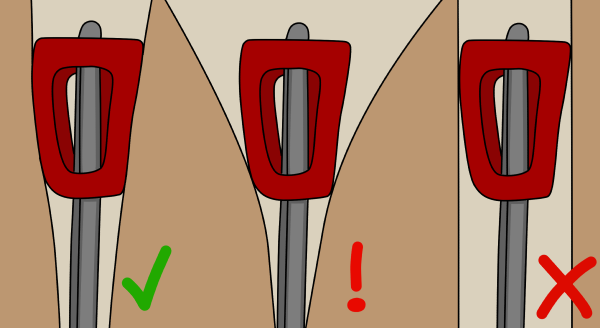 When weighted (if you fall), the nut becomes wedged further into the crack. When you spot a suitable constriction, grab your rack of nuts and try a few that are most likely to fit.  Assess the taper and curve of the crack and the quality of the rock. Once you've found the best fit, give it a gentle downwards tug to seat it in place. This will stop the rope lifting it out when you climb past. Remove the nut from the carabiner, extend it with a quickdraw or sling and then clip it to your rope. Climbing nuts are generally non-symmetrical, being wider at one side and also curved. 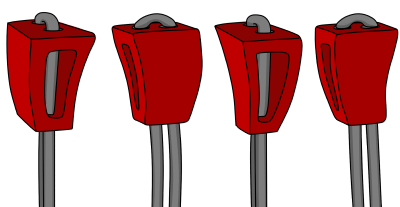 This means they can be placed in four possible orientations. 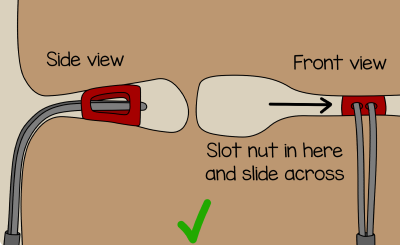 If your nut isn’t quite perfect, try placing it in a different orientation. You should select the size and orientation of nut which has as much surface contact with the rock as possible. More surface contact means more 'grip'. A nut with more grip is more likely to stay exactly where you placed it as you climb above. Place nuts fully inside the crack, but not so far that you can't see them. 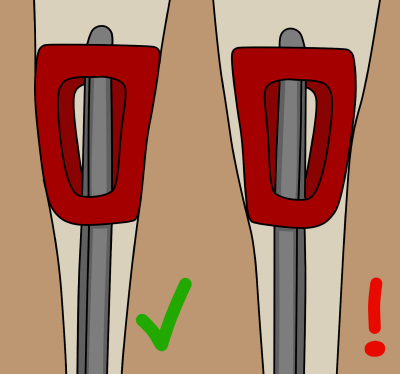 Remember that your partner must be able to reach with their nut tool to remove them. Nuts are most reliable in tapered constrictions that they fit neatly into. Nuts in very flared constrictions could fall out due to insufficient surface contact. Nuts in parallel-sided cracks will not work. Nuts work best in vertical constrictions, but they can also be placed in diagonal cracks. Nuts are generally less reliable in diagonal cracks because they are not pulled directly into the constriction when weighted. 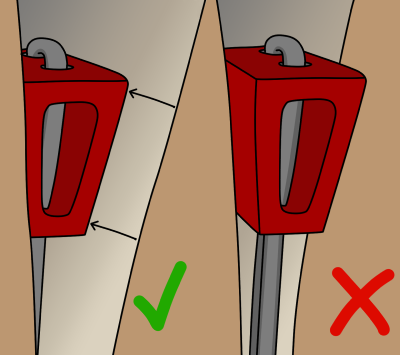 Pay attention to which way the nut would be pulled in the event of a fall. If it could be pulled out, try a better placement. 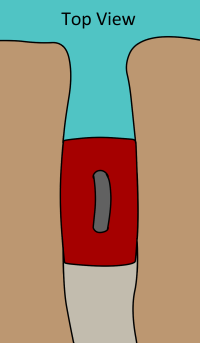 Nuts can also be placed in horizontal constrictions as shown. Nuts can also be used as a thread. This works best with large nuts. Poke the wire loop through the hole, then clip a quickdraw to it. However, holes like this usually suggest poor rock quality. Slings are softer on the rock than nuts so try using a sling as a thread in this situation, or look for something else more solid. Nuts can oppose each other to create a multidirectional piece. This old-school technique is rarely used nowadays because there is usually something else better and quicker to place, especially if you have some offset cams. However, it could help you out if no other gear exists. 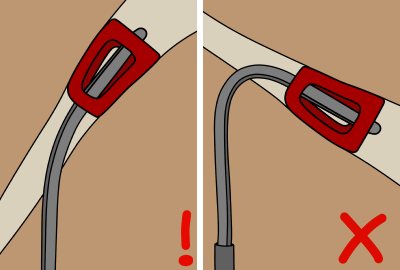 Place two opposing nuts so the carabiners are close together but not overlapping. 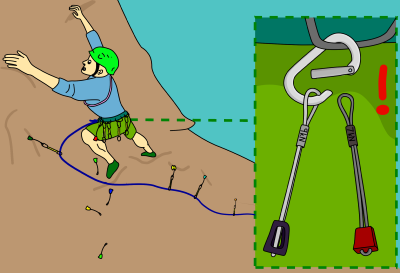 Clip a sling into one of the carabiners and pass both strands of the sling through the other carabiner. 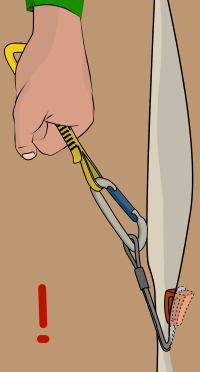 Pass the end of the sling through the two strands and also through the carabiner as shown. Cinch the knot tight to create tension between the nuts. Then clip the sling to the rope. 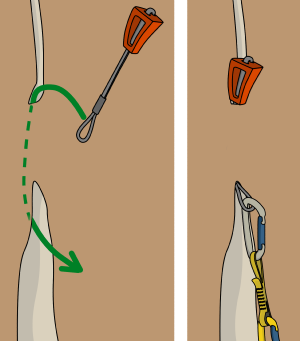 To be removed from a crack, a nut will need to reverse the way it went in. Often, a little wiggle will unseat the nut, enabling it to be pushed up and out. If this doesn't work, tap it from below with your nut tool. If that doesn't work either, hold your nut tool under the nut and hit it with a big hex. As a last resort, yank upwards on the attached quickdraw or sling to dislodge it. Be careful though, this damages the cable over time. Oval carabiners are good for racking nuts – the large bottom radius helps to stop the wires tangling together. Nuts prefer to be organized by size and racked in groups of 4-7 per carabiner. 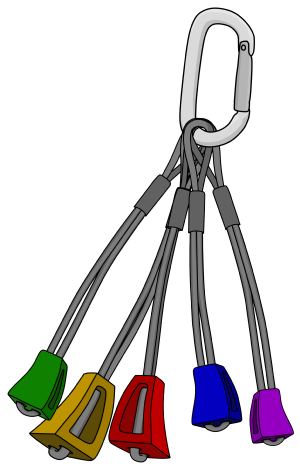 It's common to have 10-15 nuts split onto 2-3 carabiners for a typical climb. Cramming all your nuts onto one carabiner makes it hard to find the one you want, and if you drop this carabiner, you'll have no nuts. It's better to rack your nuts on a carabiner with a strong gate-spring. A weak gate-spring can be pressed open easily, meaning that you will 'rain nuts' on your belayer. Nuts are much lighter and cheaper so it’s easy to carry a lot of them. Cams are quicker to place – great if you’re getting pumped and need to place gear quickly. There are usually more options for placing cams than nuts, so it’s better to place nuts when you can and save the cams for later.